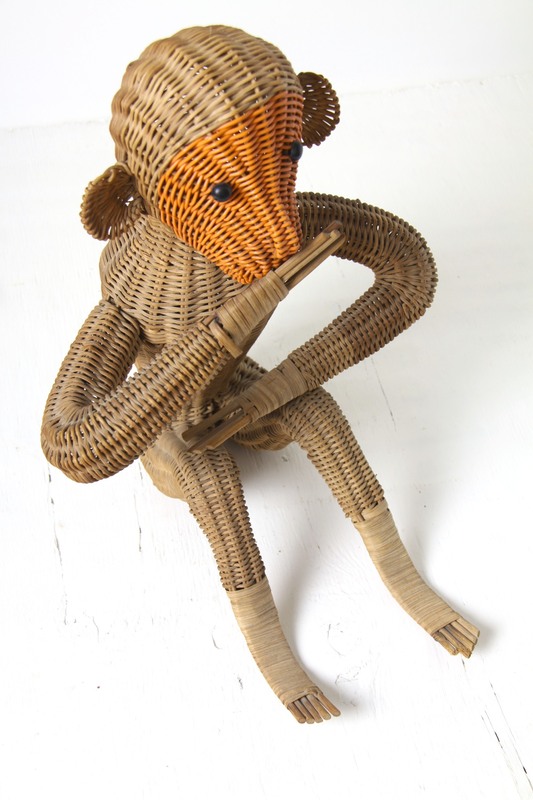 This is a great rattan / wicker monkey figure, country of origin unknown, circa 1950’s. A wonderful cute character, a shelf sitting figure in a ‘speak no evil’ or just playful pose! 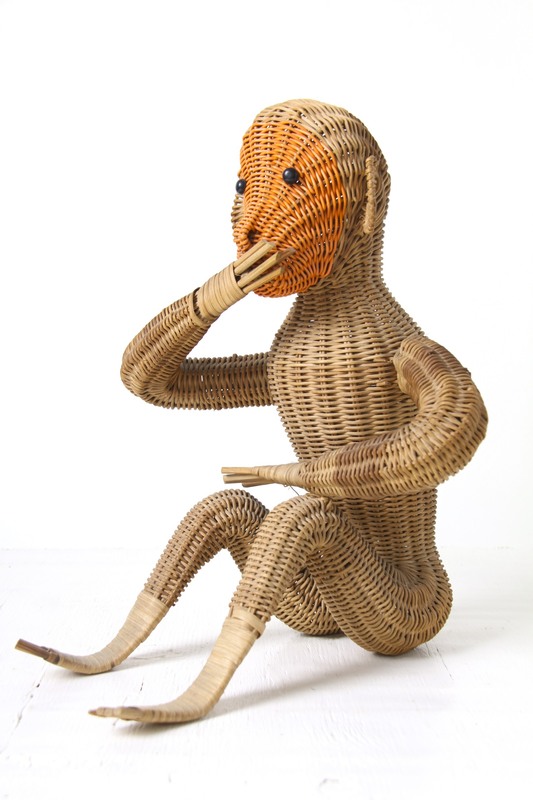 Fantastic stylised monkey shape, so expressive and great detailing, all expertly woven out of rattan with the feet and hands made of canes wrapped round with flat palms. 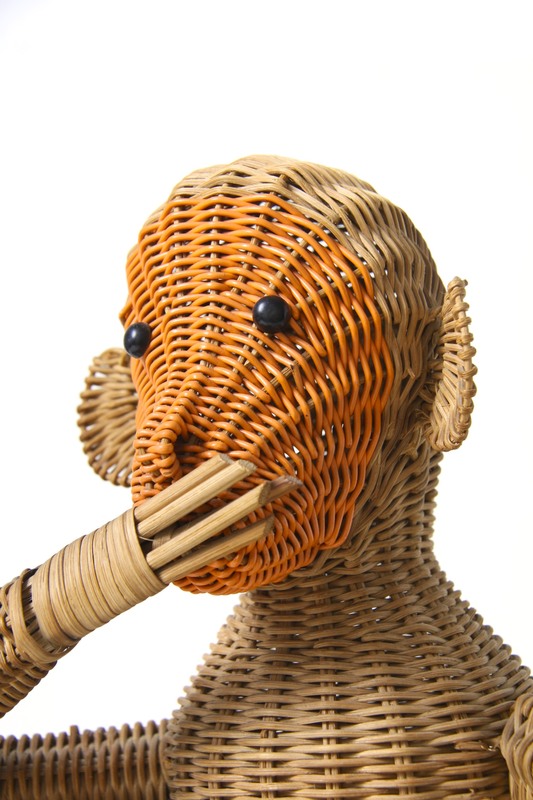 The orange face is made of rattan coated in plastic, with black bead eyes. 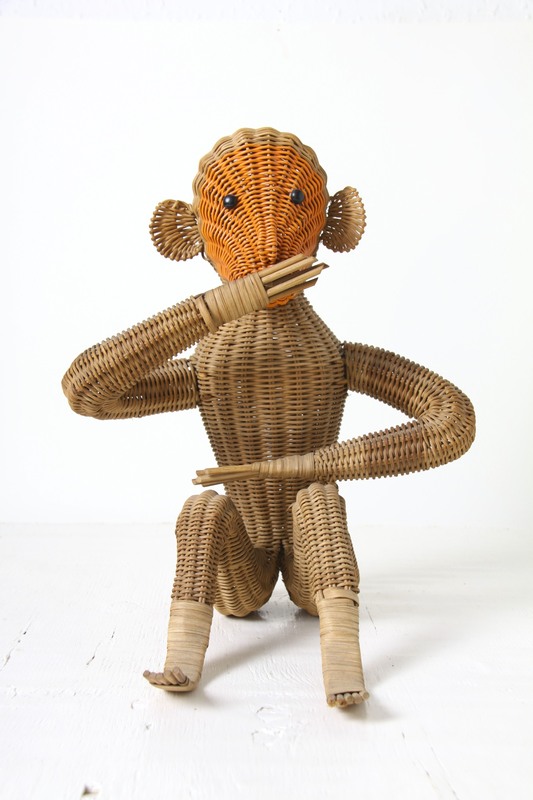 Very much in the style of Kay Bojesen’s and Walter Bosse’s mid century monkey / animal figures and would make a perfect addition to any such collection, or to sit on a Danish Modern / Eames era sideboard or shelves as a quirky fun piece of home decor! Would make a fantastic addition to any collection of mid century animal figures, Bojesen, Zoo line, Walter Bosse etc and would complement any retro, vintage, 1950’s, 1960’s, mid century, modernist, Danish Modern, minimalist or contemporary styled interior. In excellent condition, a couple of loose canes overall, the right ear appears a little skewed but all adds to the vintage character, nothing to detract on display. Measures 36 x 27 x 27cm / 14 x 11 x 11in.